After the fight at Wilson’s Creek, Sterling Price marches his Missouri State Guard north to try and capture the key Missouri River town of Lexington, Missouri. 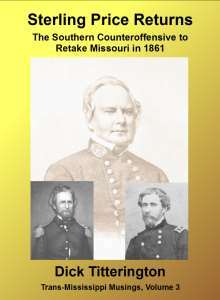 In response, Major General John Charles Frémont, mobilizes the forces under his command in Missouri to pursue and destroy the Missouri State Guard. Frémont’s army finally catches up with the Missouri State Guard in Springfield later that fall.